The fire that has extensively damaged Notre Dame in Paris has caught the attention of many of us. The shock that we are experiencing gives new meaning to a hymn written by Nicholas Grundtvig as he remembered the ruins of the Church of Our Lady in Copenhagen, destroyed in 1807 during the Napoleonic Wars. 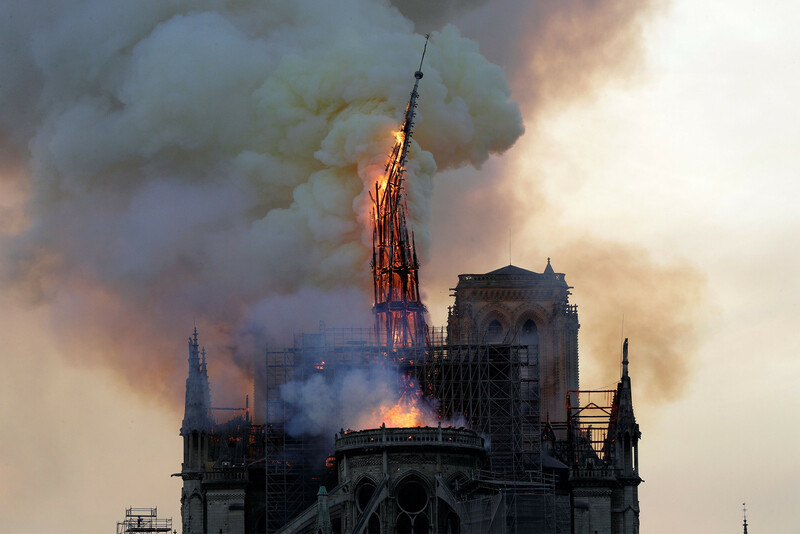 The destruction of an iconic building like Notre Dame reminds us that God’s Church shall prevail. That is what we celebrate this Holy Week. Christ has died. Christ has risen. Christ will come again! Perhaps you want to join me in singing this great hymn in honor of Notre Dame and the many Christians who have gathered there over the centuries to celebrate our Savior’s victory.